If you are interested in speaking at Mastery Path, this page is for you! We offer you an opportunity to showcase yourself to a community of like minded people interested in personal and spiritual growth. Please note that we don’t pay speaker fees or expenses. We film most events. If we film your talk, we will send you an unlisted link for you to evaluate your performance. This is not for sharing as we sell our events online as a product in order to help fund our work. Mastery Path owns copyright of all event footage (see Terms & Conditions below). We can provide presentation aids with prior notice (flip chart and projector). Please advise of any requirements when providing information as resourced need to be booked prior to the event. Please bring your own laptop if you are using powerpoint and be sure to book our projector if you don’t have your own. You may build your mailing list by having a sign-up sheet at the event for those who want to keep in touch with you. Please note that we do not share our mailing list with you. How did you find out about Mastery Path? Which other groups in the UK you have you spoken for? Why do you want to speak for us? Are you willing to co-promote the event to your list and via social media? You may be offered a speaker slot depending on the topic; what you are offering; your previous speaking experience. We do not confirm speaking slots until you have provided all the information we require (see above section). Unless you have a showreel or Debra has personally experienced your work, she may arrange for a Skype or telephone call to get to know you. If the information that you have provided isn’t a good fit for Mastery Path, you will be informed by email. If your application is accepted, your speaking slot will be confirmed by email. What equipment will you bring with you? Do you need us to provide any equipment? We ask you to store Debra’s mobile number in your phone so that you can contact her in the event of any emergencies (late arrival etc). 12.30 pm Registration and networking. Photos. 3.00 pm Host closes event. 3.15 pm Photographs for social media then networking and pack up. 4.00 pm The Monastery closes. With effect from July 2016, our new home is The Monastery, 89 Gorton Lane, Manchester M12 5WF. Access to the Pugin room is from 11.30 am and lunch and refreshments are available to purchase from the cafe at The Monastery. We film our events and upload the footage to youtube as an unlisted link. We sell the link for the same price that someone would pay to attend in person. The link is for personal use and not for sharing with others. Mastery Path owns copyright of all event footage. We do not guarantee that we will film every event. If your event is filmed, we will send you an unlisted link for your personal review so you may evaluate your performance and make improvements in future. You may not download, store electronically, pass the link to anyone else or sell. We provide this to you in service and in good faith. By applying to speak at Mastery Path, you agree to these terms. We currently sell the event footage for £15 with Mastery Path members getting a £5 discount. Sales help us to pay for our running costs. We are a voluntary group and need to cover our costs. 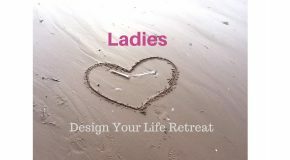 We have filmed many events and retreats for previous speakers and we can help you too. If you are interested in taking your speaking business to a new level, contact Debra to see how we can help.